When you look at a celebrity now and her younger photos, you’ll definitely see a sharper face with a more apparent cheekbone. This change could be done with dermal fillers, however, a permanent and more radical change can only be achieved by the bichectomy operation or cheek implant procedure. Hollywood cheek procedure or cheek thinning procedure has been popular in the UK in recent years. 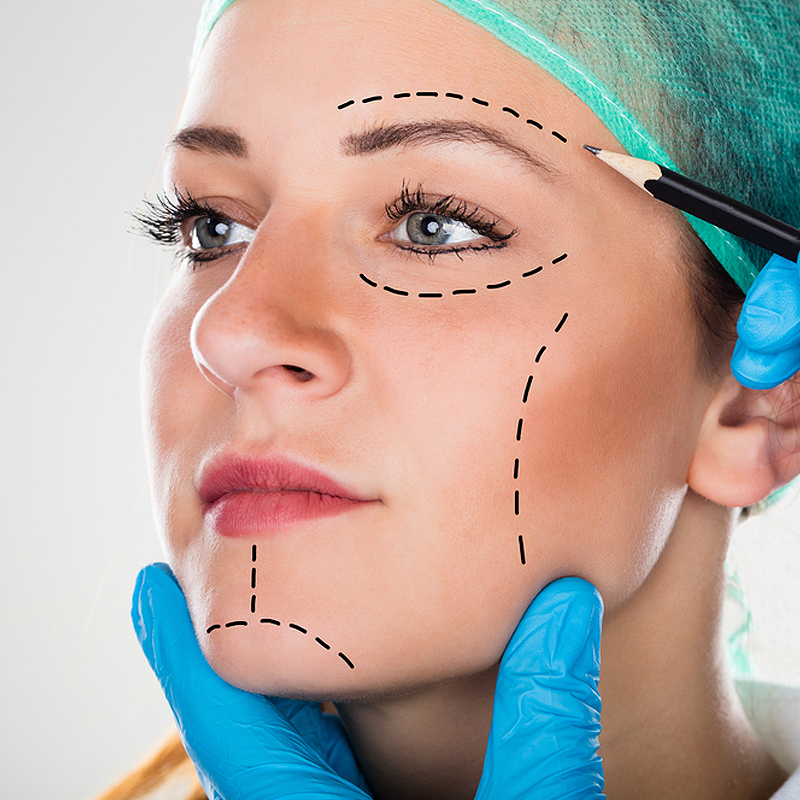 At Essi Cosmetic Surgery, we offer bichectomy surgery alone or with a combination with other cosmetic surgery packages in Istanbul, Izmir or Cyprus. Bichectomy, also known as Hollywood Cheek Surgery, is performed by our surgeons and it takes up to one hour and local anaesthesia is done. It is an operation of fat pillow’s removal on the cheek. The incision is performed from inside the mouth and the buccal fat pillow is removed between the Buccinator and the Masseter muscles. To get slimmer cheeks, highlighting cheekbones and jaw and a more opposite triangular face shape. Who is a good candidate for a Bichectomy Surgery or Hollywood Cheek Surgery? This procedure could be performed on anyone who would like to improve their look by a more defined face and more apparent cheekbones. It is done on little overweight people to make their look face thinner. On the other, it is performed on average weight or thin people and gives great results. Many people that are average or thin, but have round cheeks are choosing this procedure because even they get thin, their cheek still stays round, which causes them to look chubby. Why Bichectomy Procedure at Essi? We offer this procedure to give you a more elongated appearance with greater symmetry and aesthetics in your facial features. Our surgeons have performed hundreds of bichectomy operations in Turkey and Cyprus. Recovery and Results after the Bichectomy Procedure? After the operation, the patient returns to his daily life immediately. There is inflammation that slowly lessens, antibiotic treatments and oral care products need to be used to prevent infection. The final result would be seen within 3 weeks. Is having thinner cheeks easy? Yes, it is actually much easier than many people think thanks to Hollywood cheek procedure. The reason why it is not very popular is because not many surgeons are trained to do it, but we believe it will be much more popular in next 10 years. Who is a good candidate for Bichectomy Surgery, also known as a Hollywood Cheek Surgery? It takes 45 minutes and is performed under local or general anaesthetic. You will decide the method together with your surgeon. The incisions are made entirely within the mouth, so the scars will not be visible. You can go back to work the day after the surgery. The patient is fed with clear liquids on the first day. After 3 days, all foods except the very hard foods are free to the patient. You have to take care of the oral hygiene in order to avoid infections. This surgery does not cause oedema or pain.